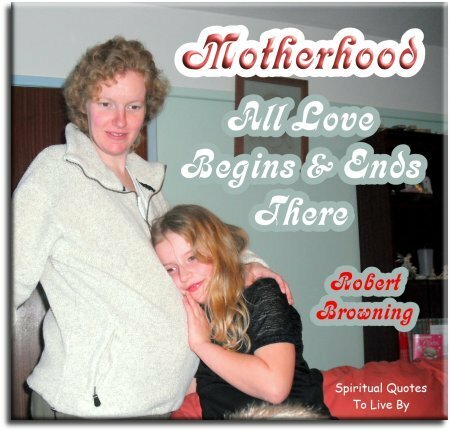 The quotes about mothers on this page are all positive, inspirational words of wisdom and love from source and authors surnames A through to F. The other pages are G to M and N to Z. 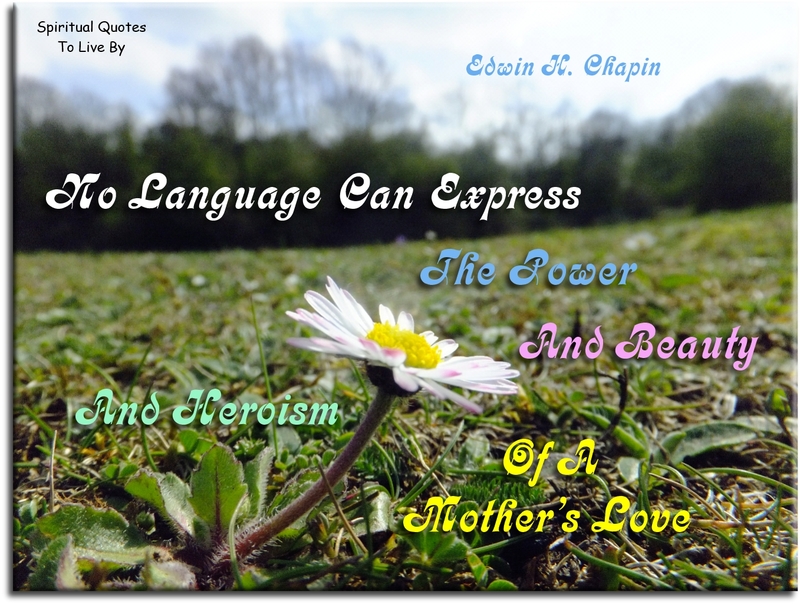 The words from unknown sources are on the Sayings About Mothers page. I was eighteen when I became a mother, but not once have I regretted having children at a young age. Being a mother is definitely the greatest experience and joy of my life. My daughter Julie was such a delightful happy baby, we soon had another, Kevin came along the following year and Emma three years later. I would have liked to have had more children, but it was not to be. However, time moves on fast and at the age of thirty-six I became a grandmother, since then there have been nine more bundles of joy added to my family, so now my life is blessed with so many to cherish and love. 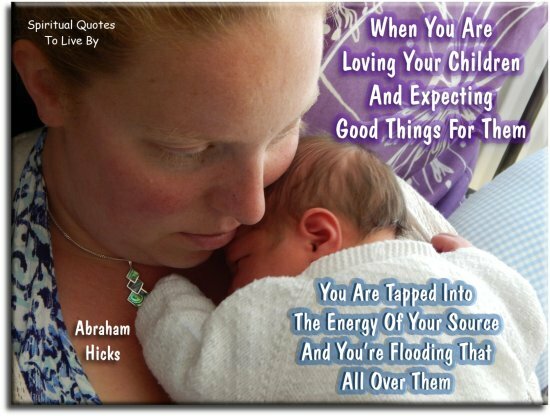 When you are loving your children and expecting good things for them, you are tapped into the energy of your Source and you’re flooding that all over them. All that I am, my mother made me. 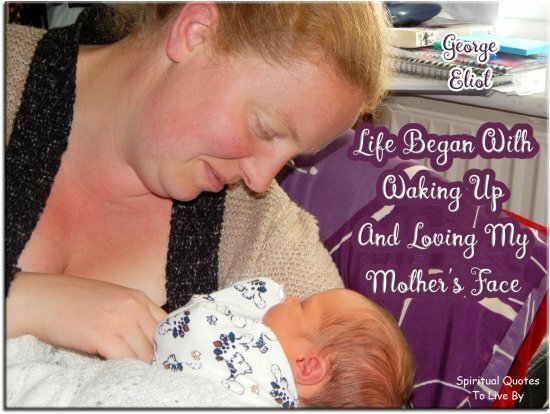 I felt so mega having given birth; the confidence from that, I felt unstoppable. I have never been insecure, ever, about how I look, about what I want to do with myself. My mum told me to only ever do things for myself, not for others. My main thing is Mum, then it’s me, then it’s work. So mother, I thank you for all that you’ve done and still do. You got me, I got you. Together we always pull through. There comes a time when a woman needs to stop focusing on her looks and focus her energies on raising her children. This time comes at the moment of conception. A child needs a role model, not a super model. But behind all your stories is always your mother’s story, because hers is where yours begins. Mothers can forgive anything. Tell me all, and be sure that I will never let you go, though the whole world should turn from you. 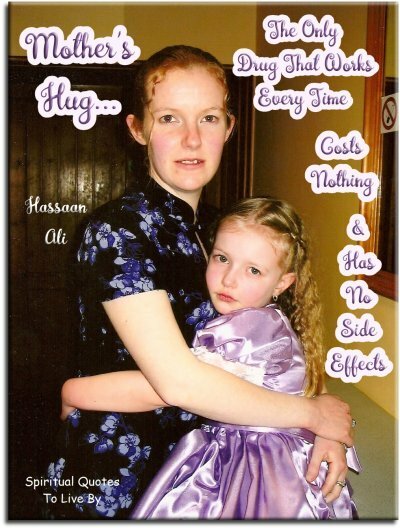 Mother's hug... the drug that works every time, costs nothing and has no side effects. Listen carefully to what country people call mother wit. 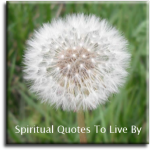 In those homely sayings are couched the collective wisdom of generations. Think of stretch marks as pregnancy service stripes. She never quite leaves her children at home, even when she doesn’t take them along. I know how to do anything… I’m a mom. There’s a lot more to being a woman than being a mother, but there’s a lot more to being a mother than most people suspect. The God to whom little boys say their prayers has a face very like their mothers. Once you become a mother, your heart is no longer yours.. My daughter is the greatest thing I’ll ever do in my life. We really have no definition of mother in our law books. Mother was believed to have been so basic that no definition was deemed necessary. 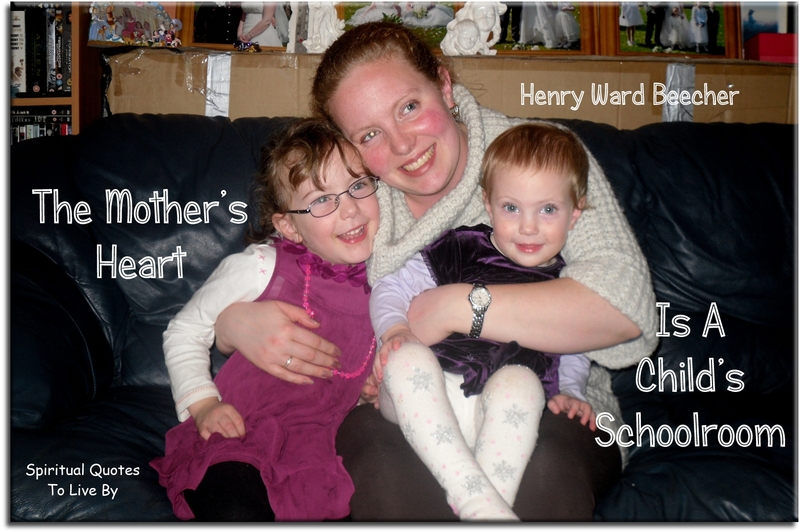 I really enjoy being a mum, I love them and I’d do anything for them. 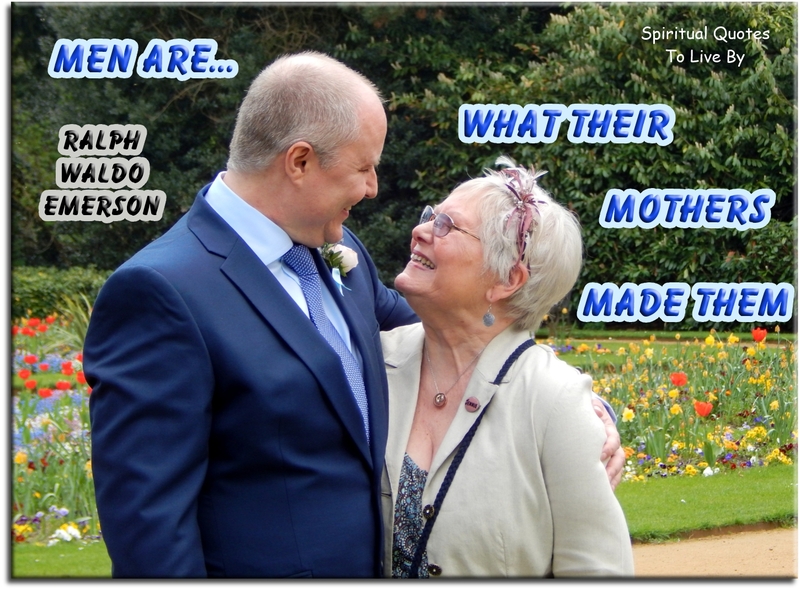 God pardons like a mother who kisses the offence into everlasting forgetfulness. The babe at first feeds upon the mother’s bosom, but is always on her heart. 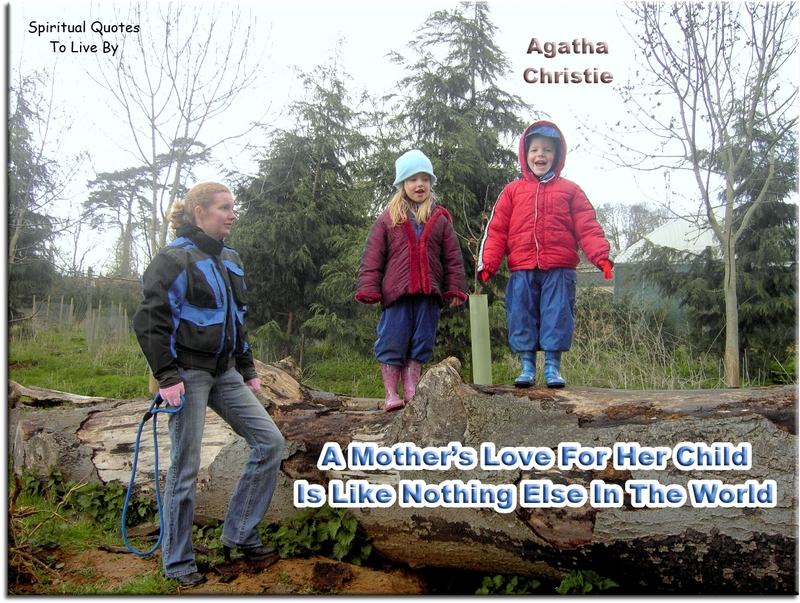 The mother’s heart is a child’s schoolroom. What the mother sings to the cradle goes all the way down to the coffin. 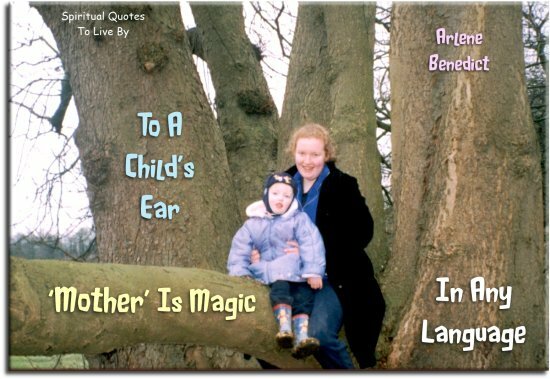 To a child's ear, 'Mother' is magic in any language. Career is important, but nothing really supersedes my role as a mother, that’s the most important thing I’m going to do in this life. I am so ready to be a mommy. I can’t wait. I notice every little baby dress, every baby toy, every little baby thing. (My mom) is one of those people that you feel honoured to meet, and no matter who you are, you fall in love with her because she is spiritual, she’s inspiring, she’s strong, she’s funny, she’s creative, she’s talented.. She’s everything that I want to be. The daughter never ever gives up on the mother, just as the mother never gives up on the daughter. There is a tie there so strong that nothing can break it. Mothers and dogs both had a kind of second sight that made them see into people’s minds and know when anything unusual was going on. I love my mother for all the times she said absolutely nothing. If I had my life to live over, instead of wishing away nine months of pregnancy, I’d have cherished every moment and realized that the wonderment growing inside me was the only chance in life to assist God in a miracle. 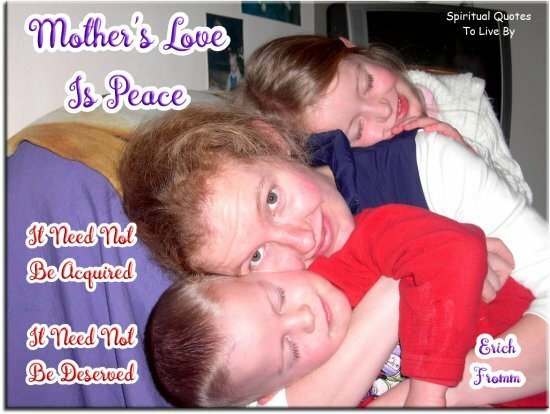 It is not until you become a mother that your judgement slowly turns to compassion and understanding. Motherhood is the biggest on-the-job training scheme in the world. Let France have good mothers and she will have good sons. A mom reads you like a book, and wherever she goes, people read you like a glowing book review. 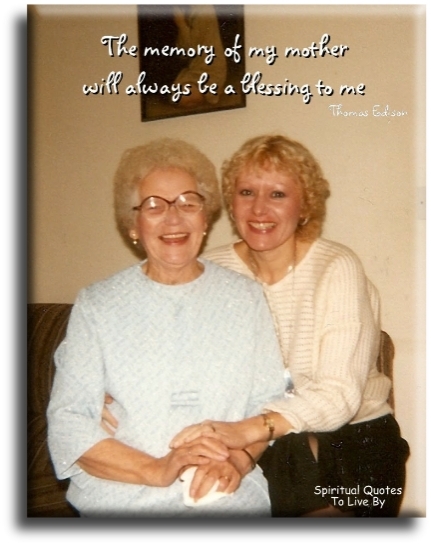 If you have a mom, there is nowhere you are likely to go, where a prayer has not already been. Mom… the person most likely to write an autobiography and never mention herself. There is an instinct in a woman to love her own child, and an instinct to make any child who needs her love, her own. What is a mom? But the sunshine of our days and the North star of our nights. Becoming a grandmother is wonderful. One moment you’re just a mother, the next you are all wise and prehistoric. Mothers are the pivot on which the family spins. Mothers are the pivot on which the world spins. You never realize how much your mother loves you till you explore the attic.. And find every letter you ever sent her. Motherhood... all love begins and ends there. The whole motivation for any performer is… Look at me Ma! Although a newborn baby is pure love, it is unable to radiate this love out; it hasn’t learnt this yet, just as it hasn’t learnt to walk. The love is inside it, but it doesn’t know how to give it out. When a mother (or someone else) reaches for the baby with love, the force of love from the mother draws the baby’s love out. 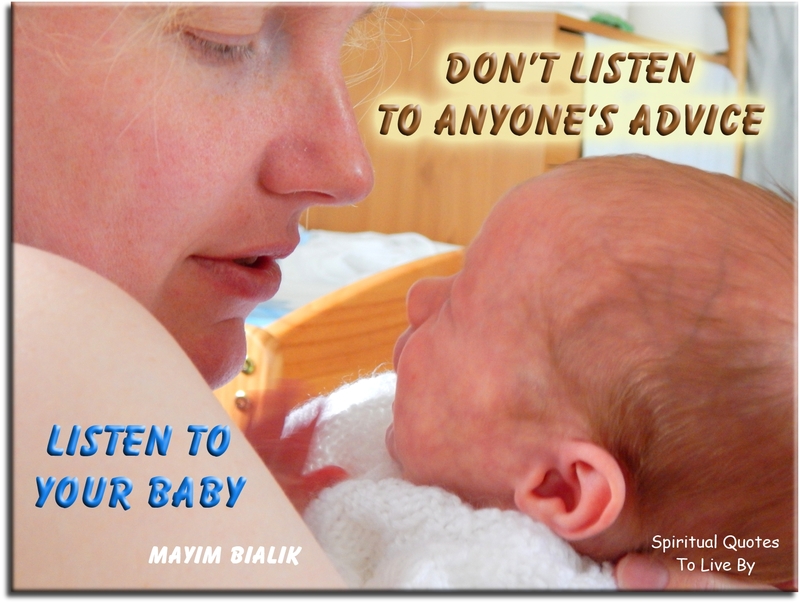 The bonding with a new baby can help people to release love unconsciously. We are all born pure love. As a baby in our mother’s womb, we all love unconditionally. 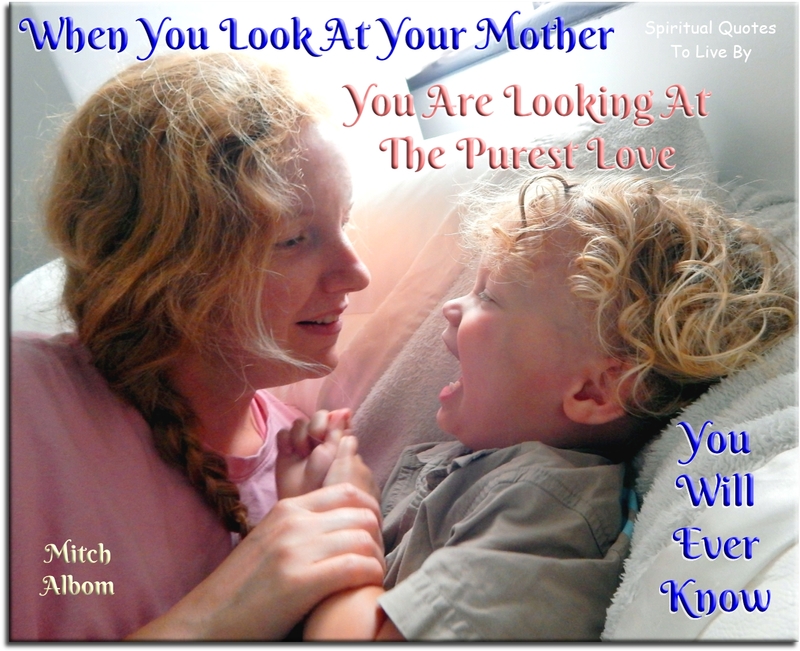 Everyone of us, regardless of whether we are wanted, or whether our mums have an easy pregnancy or labour, glow with pure love when we are born. There ought to be a hall of fame for mamas, creation’s most unique and precious pearl. I loved my mother too, I said. I still do. That’s the thing, it never goes away, even if the person does. Who is it that loves me and will love me for ever with affection which no chance, no misery, no crime of mine can do away? It is you, my mother. I am thankful for a lawn that needs mowing, windows that need cleaning and gutters that need fixing because I have a home. I am thankful for the piles of laundry and ironing because it means my loved ones are nearby. Motherhood is, after all, woman's great and incomparable work. It seems to me that my mother was the most splendid woman I ever knew. I have met a lot of people knocking around the world since, but I have never met a more thoroughly refined woman than my mother. If I have amounted to anything, it will be due to her. A mother’s love for her child is like nothing else in the world. It knows no law, no pity, it dares all things and crushes down remorselessly all that stands in its path. My mother made a brilliant impression upon my childhood life. She shone for me like the evening star. I always tell people that I became a writer not because I went to school but because my mother took me to the library. A mother is a mother, still the holiest thing alive. I can imagine no heroism greater than motherhood. Fifty four years of love and tenderness and crossness and devotion and unswerving loyalty. 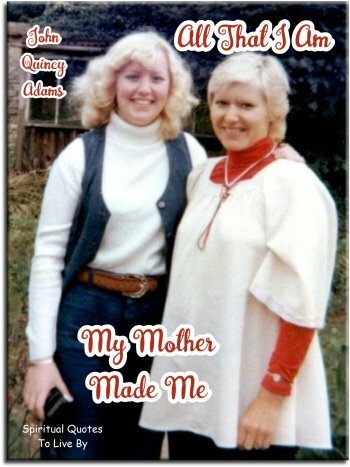 Without her I could have achieved a quarter of what I have achieved, not only in terms of success and career, but in terms of personal happiness. She made me a security blanket when I was born. That faded green blanket lasted long enough for me to realise that the security part came from her. There is a point when you aren’t so much mom and daughter as you are adults and friends. My mother once told me: when you have to make a decision, imaging the person you want to be someday, ask yourself, what would that person do? The more a daughter knows the details of her mother's life, the stronger the daughter. Don’t call me an icon.. I’m just a mother trying to help. A mother is one to whom you turn when you are troubled. Mom always tells me to celebrate everyone’s uniqueness. I like the way that sounds. There’s something that just happens to you when you have a baby, and you look at their little eyes for the first time when you’re holding them. The memory of my mother will always be a blessing to me. My mom is the number one person who has taught me to be courteous towards women, to always be respectful and polite to them, and to always lead with your heart. 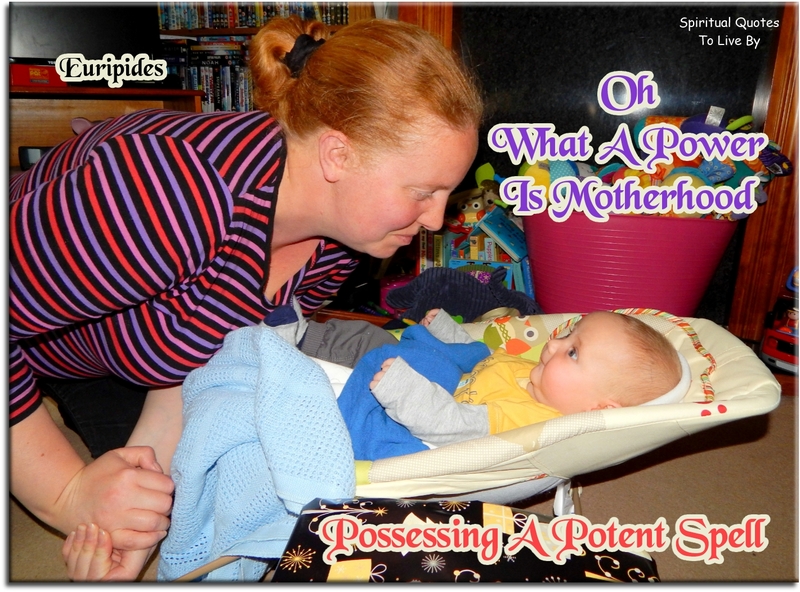 Oh, what a power is motherhood, possessing a potent spell. A mother's love is something we keep locked deep in our hearts, always knowing it will be there to comfort us. Being a mom has made me so tired, and so happy. 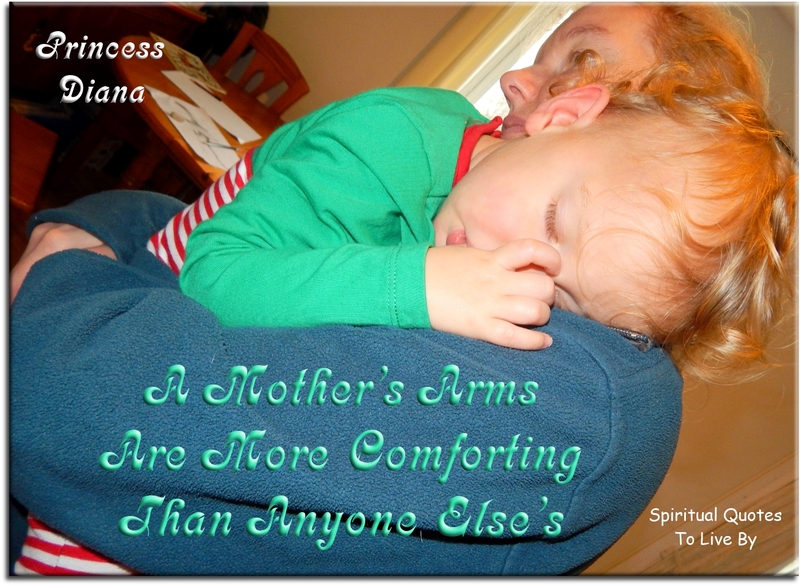 A mother is not a person to lean on... but a person to make leaning unnecessary. 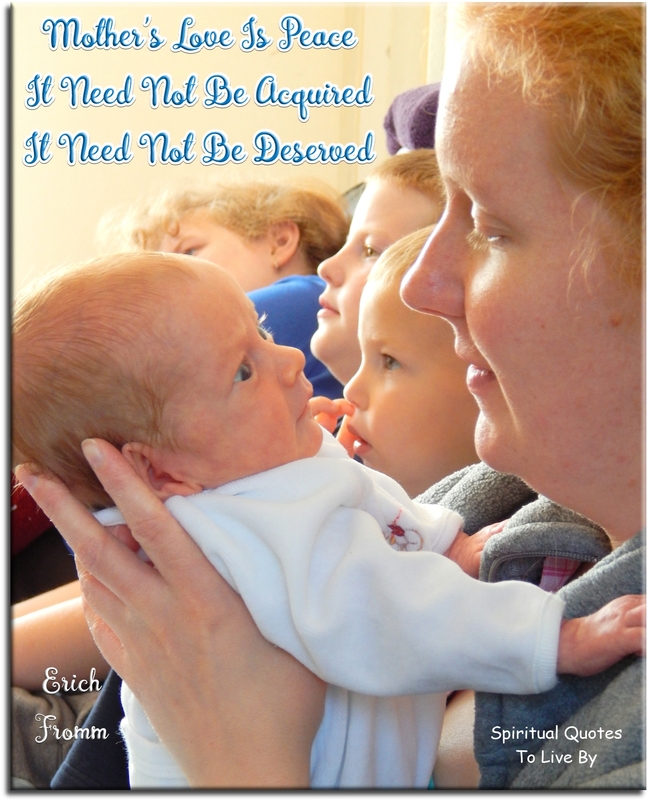 When a child enters the world through you, it alters everything on a psychic, psychological and purely practical level. The older I get, the more of my mother I see in myself. When I stopped seeing my mother with the eyes of a child, I saw the woman who helped me give birth to myself. Give any mother a daily inspirational lift with these 100 positive quote cards. 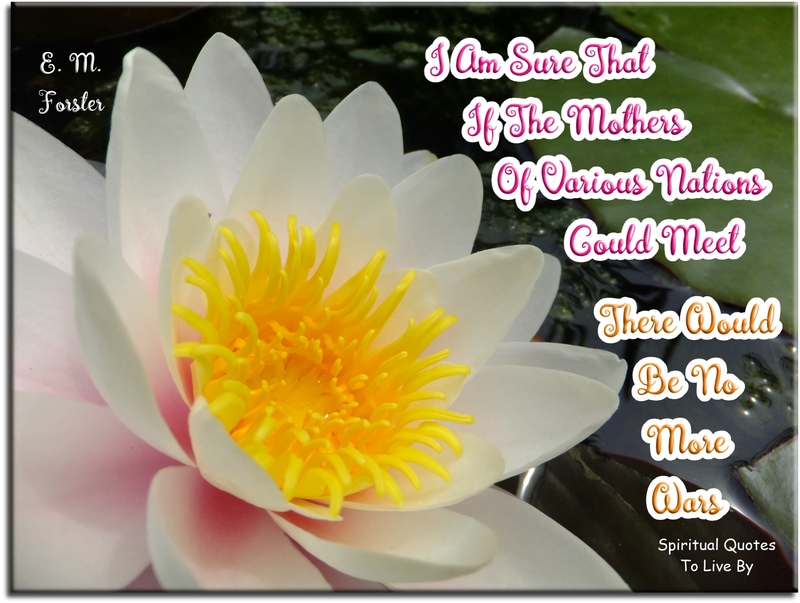 You can view all the quotes on the 100 Positive Mother Quotes page. 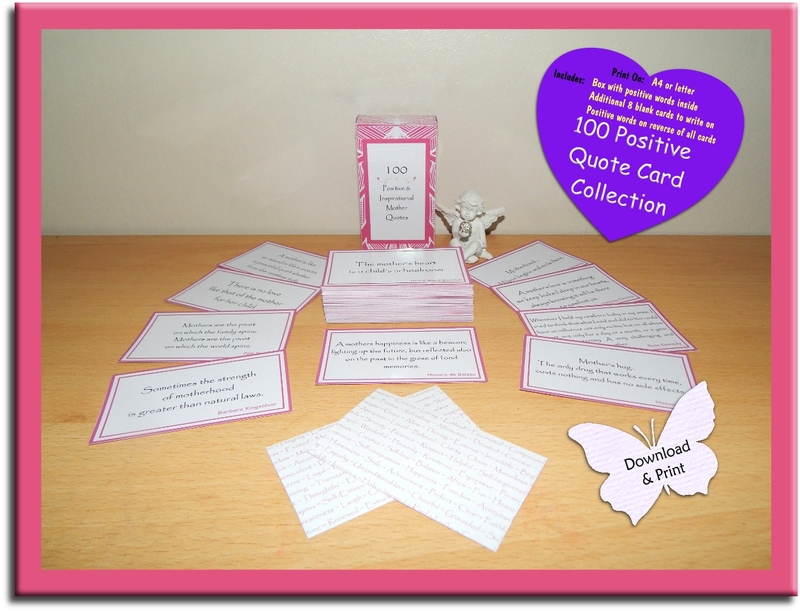 The cards feature a pink border with positive words on the reverse, a choice of 2 boxes and 8 spare cards. Add a loving message of your own to complete this unique gift for any mother.